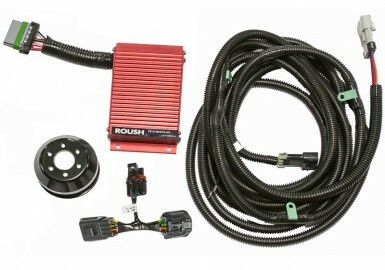 Once again ROUSH has revolutionized the industry with Phased Mustang Superchargers. 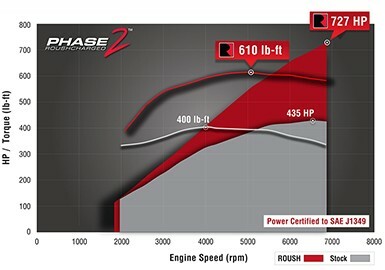 The concept of Phased superchargers is quite simple: Choose a core system now and have the ability to upgrade power and performance later. - Testing in extreme environmental conditions with temperatures ranging from -20 degrees and surpassing high's of 120 degrees Fahrenheit. Elevation tests starting at sea level and reaching heights of 14,000 feet to ensure quality and performance in all locations. 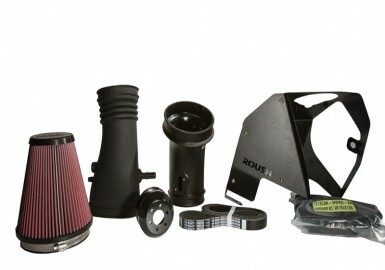 - Developed to meet stringent EPA and CARB emission standards through testing at our in-house EPA approved emissions laboratory. 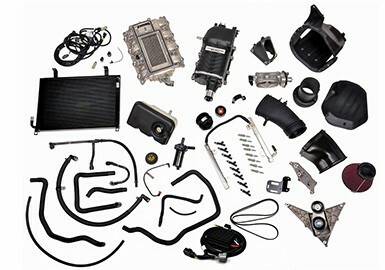 - Extensive Engine dynamometer testing and development to ensure powertrain function, longevity, and durability. 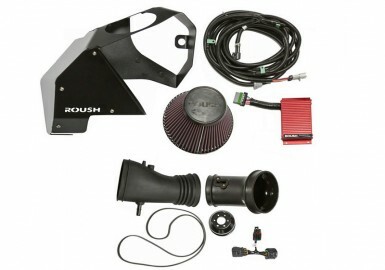 ROUSH produces quality crafted and performance tested parts you can count on, delivering the most complete line of high-performance, street-legal products by any one automotive aftermarket company. 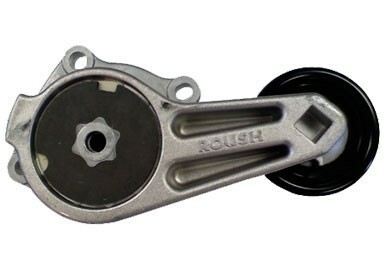 ROUSH's quality control process is among the highest-ranked in the industry. 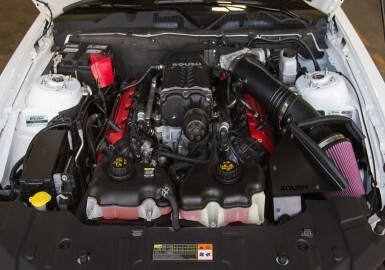 Each supercharger that ROUSH ships out, with the ROUSH name badge on it, has been bench-tested for quality. 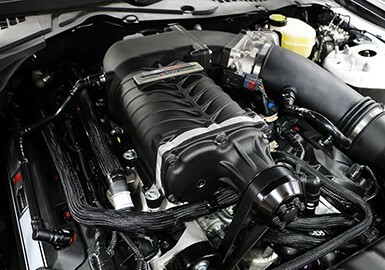 All ROUSH superchargers are warranty protected to ensure you are receiving the most reliable product available. 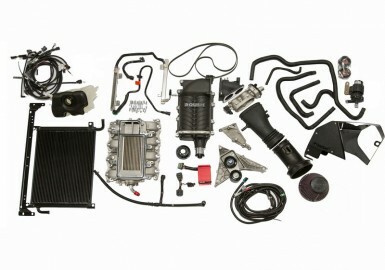 Eaton manufactures highly engineered, roots-type positive displacement superchargers. 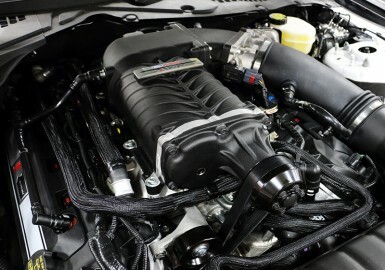 Their award-winning Twin Vortices Series (TVS) technology permits maximum performance using smaller engines, plus better fuel economy and reduced emissions. 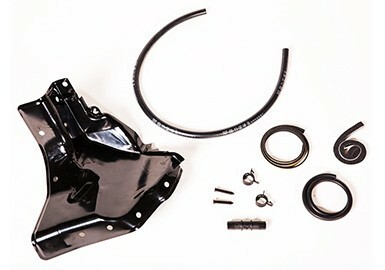 The ROUSH R2300 TVS supercharger is a roots-type, positive displacement supercharger that features twin four-lobe rotors that are twisted 160-degrees. 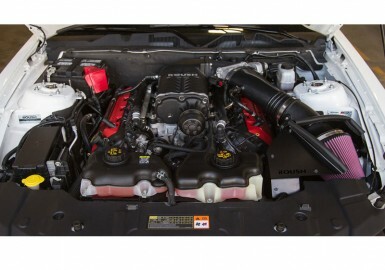 By comparison, the original M90 Eaton supercharger rotating assembly featured three lobes twisted 60 degrees. 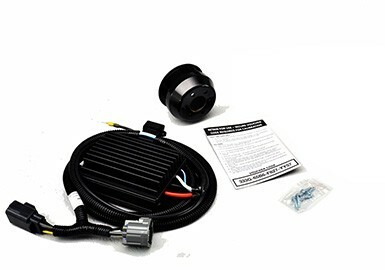 The fourth lobe and added twist, when combined with NEWLY redesigned air inlet and outlet ports, greatly enhance thermal efficiency, deliver higher volumetric capacity, enable higher operating speeds, creates a smoother, more efficient flow of air into the engine and has improved noise and vibration characteristics.